There are times when we begin to have self-doubt about much of what we have tried to carry out in the world. When reflecting upon our lives and wondering if we have made a difference in the world, we sometimes neglect that which makes our spirits lighter. We often become detached from a healthy lifestyle by allowing routines and small matters consume our lives. When one reaches this place, we begin to reflect upon that which will take us to another state of being, a place that is usually provoked by something we love, something that will transform our thinking and bring about happiness…..For me that element is…playing some music. Unfortunately we can often become distracted, and become over time practice behaviors that become habits that will lead us down a darker road than the one we should have liked to walk. Sometimes the habits of our thinking can distort the nature of ‘things-as-they-are’, and we become disconnected to fundamental healthy living choices. There are many tales and talisman of those who become “disconnected”. If our focus is too narrow, or too broad, we just may be leaving much of our experience to the realm that erodes these experiences. We then little by little become stricken with a decay in our thought on how we should relate and live in the world. Thus we begin a process of alienation that started with an imbalance somewhere in our own habitual routines which ultimately pull us away from what is truly important in our lives. Take a look at the cases for addiction. One can become addicted to any number of things based on our “perception of being!” We are profoundly affected by the environments we accommodate. I posit this claim on the history of psychological studies in the fields of human motivation, developmental psychology, behaviorist conditioning, cognitive and gestalt findings, from Jean Piaget, Abraham Maslow, Carl Rogers, (et. al. ), and the Eastern influences of Taoism, Buddhism and Confucian teachings. 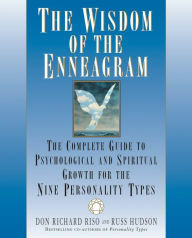 This is also noted in studies of the Enneagram with conclusive findings supporting my following claim. Addiction is not caused only by the drugs themselves. Addiction is caused by a sense of isolation and disconnection in the addict. It’s not the drugs—it’s your cage. So our placement in the world, our views about the world can somewhat determine our “Being” in the world. Our decisions about how we live, are ultimately important when finding meaning in our relationships. we may be heading towards hurtful discord and disharmony. The quintessential question we often displace is about being! How does one fit into the world? We can become distracted, overstimulated by our passions, but there may be some consequences to our choices that we make about our relationship to the world and in the world. We must first understand what in this world is critical for our “Being!” How should we relate to it, the people in it, and what sources should we align ourselves to? Through the process of immersion one can reconnect to the world. If we follow paths that lead us down a meandering road full of distraction, such as problematic learned behaviors, maladaptive dissonant behaviors, or faulty poor environments which damage our awareness and dissuade our better natures; then we may find ourselves in an existential bewilderment. One must use all of our senses and abilities to “Feel” this immersion. It is not purely intellectual. It is also emotive and felt from the “Heart”! I cannot stress the importance of this connection since much of our “detachments” derive from within the mind, but are not solved without the heart being involved. A disconnection can be largely caused by our will’s overpower other parts of our sensing apparatuses. Thus we become lost, yet still don’t know why we have disconnected our way from the things that sustain our being the most: family, friends, hobbies, music, et cetera. We give into our ego, and distort our other relationships that alienate our Being. Alternately we can become lost in our passions, and leave our intellectual judgements at home on the porch. Like the saying ….”If you don’t wanna run with the big dogs, than stay on the porch!” An anachronism that seems to fit in this case. There are many instances in which one can alienate themselves from that which sustains them. Sometimes it is from powers outside of their control, yet they have to deal with the aftermath of burdens of such events such as parental alienation. How we cope with the events in our lives is our decision. We are responsible for seeking out solutions that will bring about our salvation. Part of the process of healing, is directing ourselves to open our hearts again to receive the natural positive vibrations the universe has to offer us. When we close ourselves to this, we risk the chance of becoming overloaded and thus become jaded! So what’s your Muse? What will bring you home again if indeed you stray from source of your fulfillment and well-being?